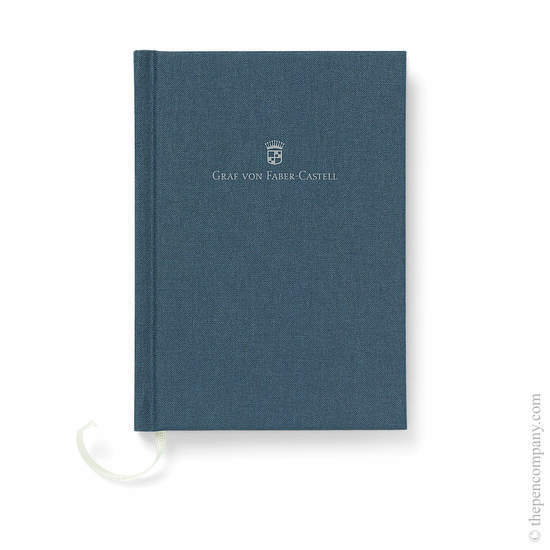 The Perfect Pencil is based on Graf von Faber Castell's 19th century notecase pencil. 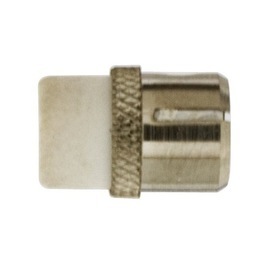 The extender is practical; housing a pencil sharpener and an articulated clip, it also protects the point of the pencil. A replaceable eraser is housed under the end cap of the pencil itself. 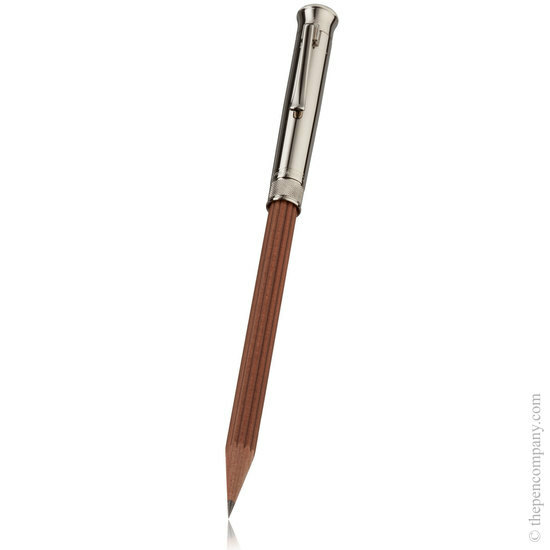 The extender adds weight and luxury to the pencil. The Perfect Pencil is available with either a platinum plated or solid sterling silver extender. 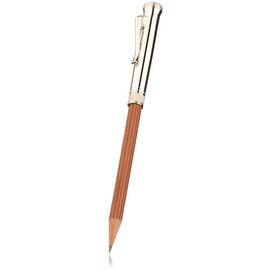 The platinum plated version is available with a choice of either black or brown pencil, the Sterling Silver version is available in brown only. 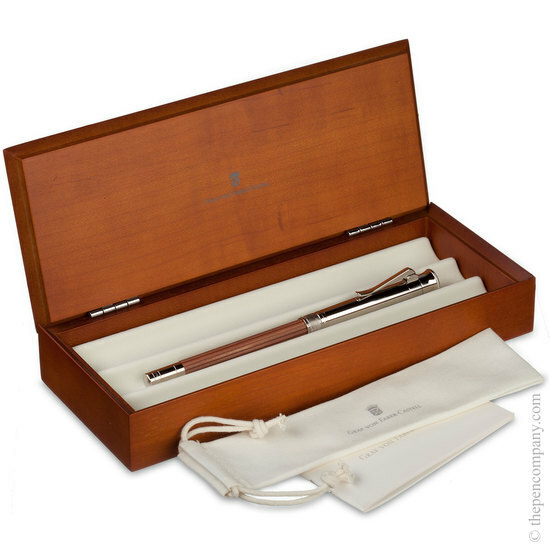 The pencils themselves are made from elegantly fluted, luxurious Californian cedar wood, a silky fine grained wood. 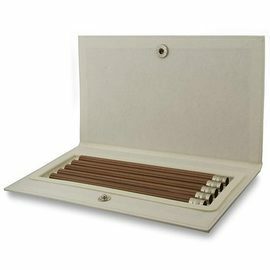 Replacement No.V pocket pencils are available in boxes of five in both black and brown. It's a great product. I carry it on my person during my work day. I wear formal clothing and this compliments it perfectly. It's of such good quality. 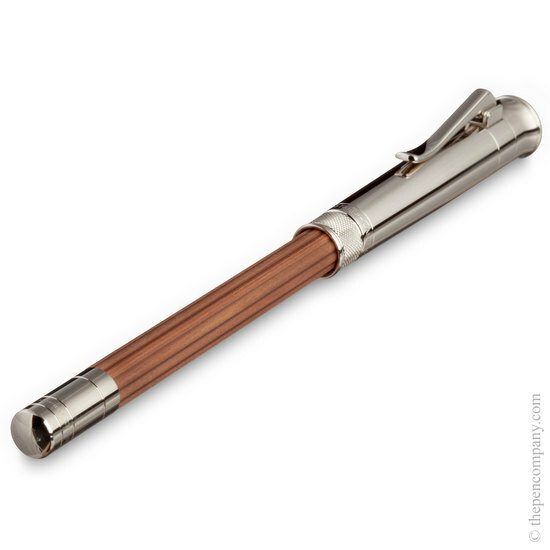 It's a great luxury product for those of us who write with fountain pens but also want an exquisite pencil to work with. I gave one of these pencils to my husband a few years ago and it has been a constant source of pleasure to him - he uses it on a daily basis. We were away recently and he took it with him and, alas! when we got home he was deeply upset when he couldn't find it. So I bought him another - and promptly found the missing one. Never mind; it really is absolutely excellent; beautifully balanced and he loves having the sharpener there, to say nothing of the eraser, and the way the top reverses and protects the point. They've thought of everything.